The High Court has explained why it dismissed a lawsuit brought against the Singapore Armed Forces (SAF) over the death of full-time national serviceman Dominique Sarron Lee, saying it was "without reasonable prospect of success". The family of the 21-yr-old private tried to sue the SAF for breach of contract of service and 2 of its officers for negligence after he suffered a fatal allergic reaction to fumes from smoke grenades used during a military exercise in 2012. The case was thrown out in March. In written grounds released yesterday, Judicial Commissioner Kannan Ramesh accepted arguments by the defendants, who relied on a provision in the Government Proceedings Act indemnifying them from being sued for negligence for deaths and injuries if the acts are certified to be attributable to service. The 2 Singapore Armed Forces (SAF) officers sued by the family of the late Private Dominique Sarron Lee have “statutory immunity” against legal action, wrote Judicial Commissioner (JC) Kannan Ramesh. In grounds released on Tue (Jun 28), JC Ramesh outlined why in March this year he had thrown out a negligence suit brought by the family of Pte Lee. The full-time national serviceman died from an acute allergic reaction to fumes released by smoke grenades during an exercise in 2012. A Committee of Inquiry later found Captain Najib Hanuk Muhammad Jalal, Pte Lee’s platoon commander, had breached Training Safety Regulations (TSR) by detonating 6 smoke grenades – three times the limit specified in the TSR. The officers involved in the exercise were also punished with fines and delays in promotions. The law is clear that soldiers are granted immunity from being sued for any mishaps they cause other soldiers in the course of their duties, but this does not give them carte blanche to act without sufficient regard for safety. A High Court judge made this point yesterday in explaining why he dismissed an attempt by the late Private Dominique Sarron Lee’s family to sue on the botched military training exercise that led to his death. The 21-yr-old full-time national serviceman collapsed with breathing difficulties during an April 2012 exercise where excessive smoke grenades were used, and later died from an acute allergic reaction from inhaling zinc chloride fumes. His family sued his then-platoon-commander Captain Najib Hanuk Muhamad Jalal and chief safety officer of the exercise Captain Chia Thye Siong -- after both were summarily tried and found guilty in military court for negligent performance of lawful order or duty. They also sued the Attorney-General for breach of contract between Lee and the Singapore Armed Forces (SAF). My dearest Dom, my heart continues to bleed for you. 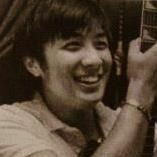 It has been 3 years and 10 months since you were taken from me and still, I haven't been able to get any closure. Today, Honourable Judicial Commissioner Kannan Remesh ruled that I have no case against those responsible for your death - the SAF and the 2 officers who did not follow the training exercise SOP. He also ruled that I have to pay for their legal costs. Dom, how can I possibly pay them for taking away your life? Where is the justice? It seems, the price I paid has not been enough. Your death has not been high enough a price for SAF and the 2 officers, and now, not enough for Honourable Remesh, it seems. They must be right, of course - the judge, the ministers, the SAF and their officers. They are experts in their fields. Individuals who studied and trained for years to be in their current positions. What do I know? I'm only a mother to two sons. I only know to love my sons, to nurture them to become young men who will do right by others, to live with dignity, decency and human compassion. What do I know? They are the experts in their fields. They must know best. They do no wrong. CI AND COI FINDINGS - MINDEF in its Facebook posting today (Key Findings from the Death of PTE Dominique Sarron Lee, 7 March 2016), stated that Dominique’s death was “unlikely to have been predicted”. If this was the case, why then is there a Training Safety Regulation to limit to 2, the number of smoke grenades to be used in the specific exercise that Dominique was involved in to begin with? How did SAF decide on this limit as being within safety regulation of such an exercise? The sky opened at around 3.30pm and it never stops raining till 6.30pm…some commented that the atmosphere truly represents that of a memorial – dark and emotive. The ground at Hong Lim Park looks desolate and muddy and my heart sunk when ten of us gathered round the sound man Jag’s tiny tentage at about 5.30pm seeking shelter from the heavy downpour. It was comforting to know that by the time we started at 6pm about 100 die-hard supporters came to pay tribute to the two boys who died within 3 years of one another. Is sorry such a hard word for the PAP to say? 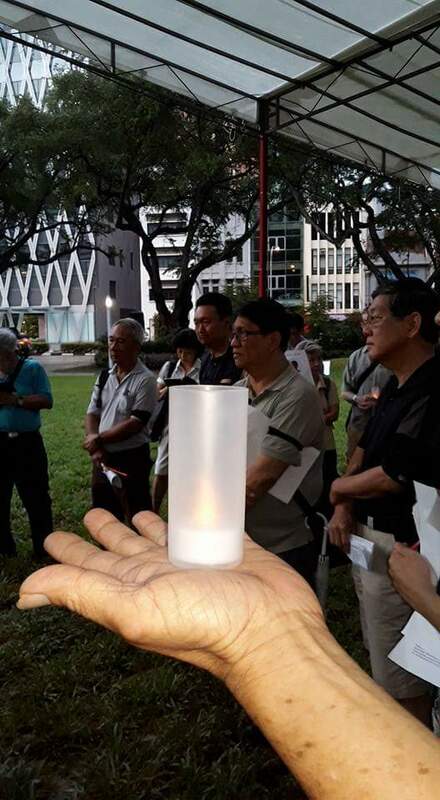 Singapore Notes: Why Was My Son There? OPINION: Why did Pte Dominique Sarron Lee have to die? Why did Pte Dominique Sarron Lee have to die? Dominique's family clarifies no compensation amt accepted, SAF/Mindef never..
Can you sue the G? The High Court struck out a lawsuit on Thursday (March 3) brought against the Singapore Armed Forces (SAF) by the family of a full-time national serviceman (NSF) who died after a smoke grenade exercise in 2012. 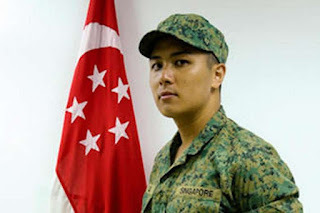 A Straits Times report said that Private Dominique Sarron Lee had suffered an allergic reaction during the exercise at Lim Chu Kang on April 17, 2012. He had difficulties breathing and subsequently passed out. The 21-year-old was evacuated to Sungei Gedong Medical Centre before he was transferred to National University Hospital. He died around 2pm the same day. The family of the former track athlete from the Singapore Sports School also brought a lawsuit against Pte Lee's platoon commander, Captain Najib Hanuk Muhamad Jalal and the chief safety officer of the exercise, Captain Chia Thye Siong, on grounds of negligence. Is TCM an effective pain remedy?